I recently had the opportunity to attend the press event release of the Seven Dwarfs Mine Train in the New Fantasyland section of Magic Kingdom Park. It was a totally amazing night full of crazy poor-quality phone photos, but I’m so excited to share this with you all! The press event showed a highlight of all things New Fantasyland, including this spread of amazing pastries from Be Our Guest Restaurant. While the food was fantastic, I could not wait to ride the attraction. The animatronics in this attraction are seriously amazing. The other thing I noticed is that the track is really quiet. I was standing at Gaston’s Tavern as the attraction was running and you could only hear the people talking. It was so amazing! When we got on the attraction, the ride was so smooth and fun! You have amazing views of all three castles as you ride through the mines, and riding it at night really added something special. I didn’t realized just how tall the attraction was, at the crest of a hill you could see all the way to Disney’s Contemporary Resort. Enjoy the photos below and forgive me for taking them on my phone! I can’t wait until you all are able to take a ride too! 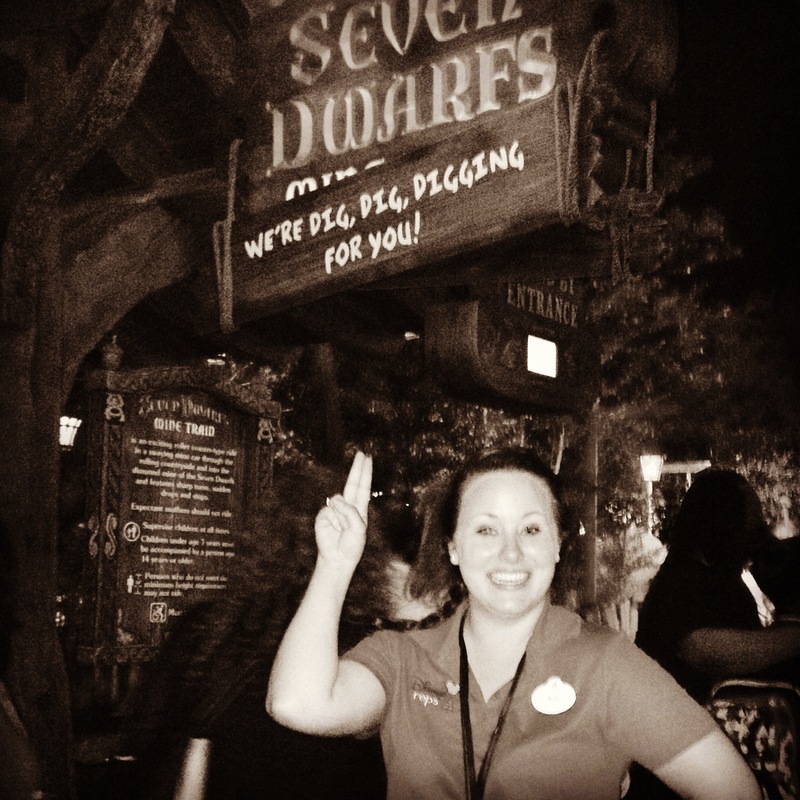 The Seven Dwarfs Mine Train opens May 28.